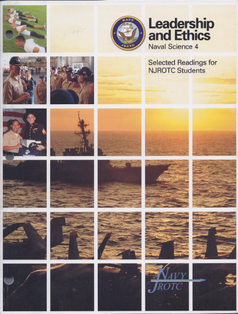 Naval Science 4 (NS4) will focus primarily on practical leadership techniques and implementation. The intent is to assist seniors in understanding leadership and improving their leadership skills by putting them in positions of leadership, under supervision, then helping them analyze the reasons for their varying degrees of success throughout the year. Classroom activities include seminars, reading assignments, classroom presentations, and practical work with junior Cadets. Seniors are mentored/guided in their preparation for life after high school to include college preparation, scholarship applications, and the variety of choices that are available to them. 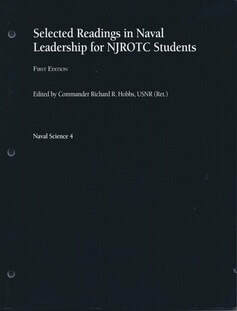 Includes instruction in theoretical and applied aspects of leadership, training, and evaluation of performance. Cadets will become aware of the techniques used to create motivation, develop goals and activities for a work group, and the proper ways to set a leadership example. Cadets are provided access to ACT/SAT prep courses, vocational/technical informal guidance, coaching in selection of follow-on education and pursuit of available scholarships, and mentoring in establishing long-range life goals.